If you love beautiful wooden toys, you have to check out this beautiful range of peacock themed toys from Hape, designed to promote developmental skills in kids up to six years old. 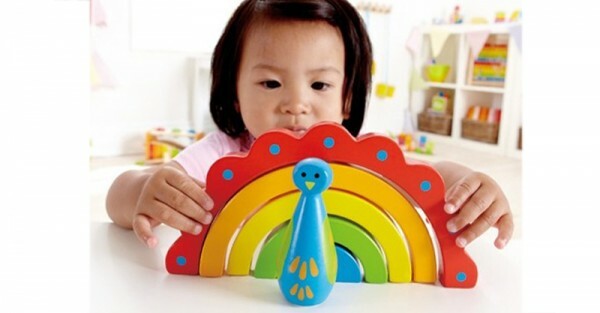 The clever combination of rainbows and peacocks means these are toys that every child is going to want to get their hands on! Part of Hape’s Early Explorer range, this delightful Peacock Curves Stacking Puzzle is perfect for the younger members of the family. Help the peacock make his rainbow tail by stacking the curves in a vertical puzzle. While developing the fine motor skills needed to stack, your little one will be learning all about sorting by size too. Suitable for 12 months and over, it’s $40 from Entropy. This Lacing Peacock is perfect for honing those fine motor skills and learning to name colours. 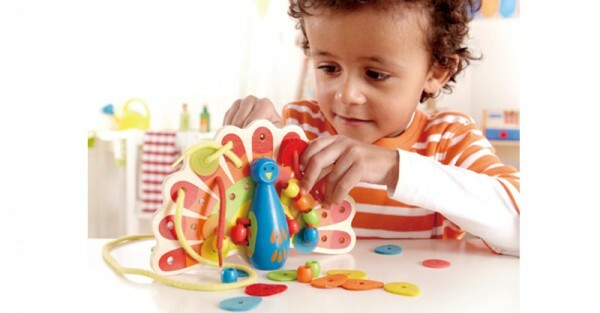 Little fingers will enjoy being creative by lacing the colourful pieces onto this cute peacock’s tail. Count each hole as you lace and use it to practise counting too. When it’s finished this free standing toy will look great on the shelf so your child can admire their handiwork. With 34 pieces there are endless combinations, so this is a toy that can be used time and time again. Suitable for three years and up, this great toy is only $20 from Entropy. 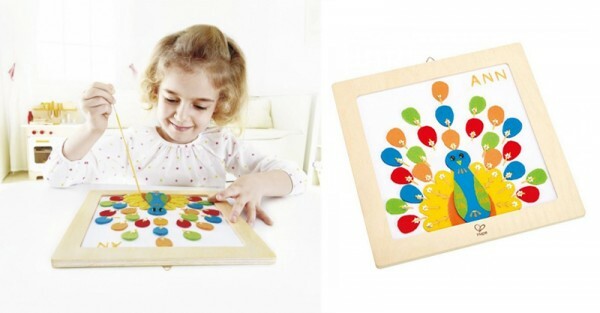 For children six years and older, Hape have designed this Proud Peacock Sewing Embroidery Kit so kids can design their very own beautiful peacock tail. Just place the colourful pieces to make a pattern, then thread the yarn to hold them in place. The canvas is stretched inside its own wooden frame so will be a lovely wall decoration once completed. You can pick it up from Entropy for $25.